Chinese company Lenovo launched its Lenovo K5 Pro and Lenovo K5s smartphone on Thursday with the Lenovo S5 Pro. It was also curved with Lenovo Watch S and Watch Sea Smartwatch. The Lenovo K5 Pro is a smartphone with four cameras. It has a 4050 mAh battery and a 5.99-inch full-HD + display, which is equipped with 18: 9 aspect ratios. On the other hand, the Lenovo K5s handset comes with the specifications of the Lenovo K9 launched in India, except for just Ram. Lenovo has a handset with 5 S4 GB RAM. Both phones have fingerprint sensors on the back side. Lenovo Watch is a hybrid smartwatch, while Lenovo Watch C is designed for children. Price of Lenovo K5 Pro, K5sThe price of the Lenovo K5 Pro smartphone starts at 998 Chinese yuan (about 10,500 rupees). This price is of 4 GB RAM and 64GB of storage variant. Its 6 GB RAM and 64 GB storage variants will be sold in the Chinese market for 1,098 Chinese Yuan (about 11,600 rupees). Its 6 GB RAM + 128 GB storage variant is priced at 1,298 Chinese yuan (about 13,700 rupees). The phone will be made available in black and gold colors. On the other hand, the price of Lenovo K5s is 798 Chinese Yuan (about 8,400 rupees). It will be sold in black and blue colors. 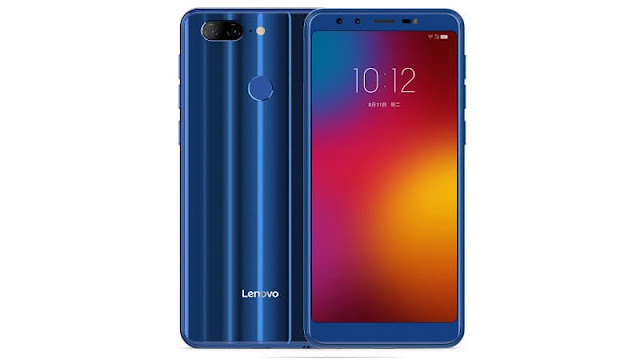 Lenovo K5 Pro specificationLenovo's 5 Pro smartphone will run on the ZUI based on the Android 8.1 Orio. This is a handset with dual SIM slot. The smartphone has a 5.99-inch full-HD + (1080x2160 pixels) display, with 2.5 de-curved glass and 18: 9 aspect ratios. The smartphone has the protection of Corning Gorilla Glass 3. The Snapdragon 636 processor has been used in the handset. Adreno 509 GPU for graphics is integrated. RAM has two options - 4 GB RAM and 6 GB RAM. Customers will have the option to choose between 64 GB and 128 GB initial storage. The handset comes with up to 256 GB MicroSD card support. Lenovo K5s specificationNow talk of Lenovo's 5S It runs on ZWI based on Android Orio. This dual SIM smartphone has a 5.7-inch HD + (720x1440 pixels) display. It comes with 18: 9 aspect ratios and 2.5 d glass protection. It has 2 GHz Mediatech MT 6762 processor with 4 GB RAM. Inbuilt storage is 32 GB and if needed, up to 256 GB MicroSD card can be used.